New Delhi, India – 25 September 2018: Comviva, the global leader in providing mobility solutions, today announced its foray into banking customer value management (CVM) by entering into a new partnership with Number Theory, an Artificial Intelligence and Enterprise Data Management firm. The partnership allows Comviva to enhance its MobiLytixTM Real Time marketing solution with new machine learning and AI capabilities built on Number Theory’s AI @ Scale Platform. The partnership aims to combine Comviva’s big-data enabled, multi-channel, customer value management (CVM) platform with Number Theory’s machine learning & AI capabilities, empowering banks to grow value from their customers through continuous, intelligent and engaging interactions. The combination of real time insights and machine learning algorithms will open many new use cases that will help in furthering the innovation agenda of banks, facilitating the delivery of responsive, personalized and insight driven experiences. Banks will get access to real time insights, but also the capability to use that information for personalizing their services based on the customer’s unique persona and behavioral and transactional attributes. 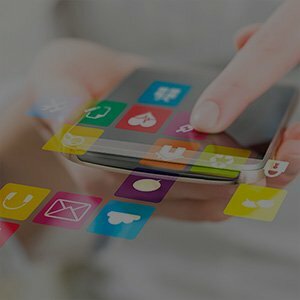 MobiLytixTM Real Time Marketing coupled AI @ Scale Platform will give banks a deeper and more holistic understanding of their customers to satisfy their constantly evolving needs.